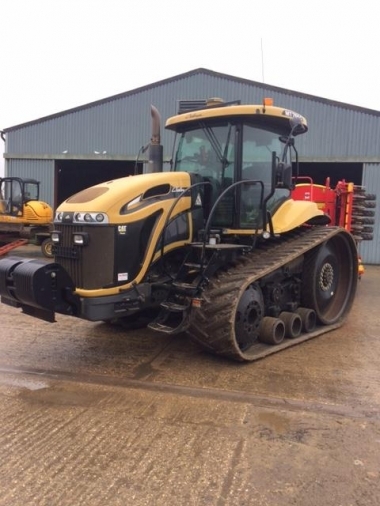 The Challenger MT700 tracked tractors were launched in the UK in 2002 with two models available in the UK MT755 and MT765 incorporating the unique Mobil-Trac system designed specifically for this brand new range of purpose tracked tractors. Supplied in the UK typically with either 25" or 30" belts, the MT765 outsold the MT755 10 unit to 1. 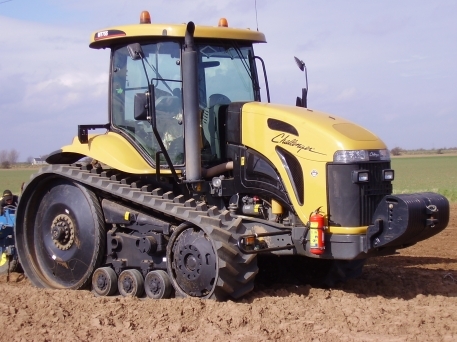 Chandlers supplied the first MT765 machine on the 11/10/2002. 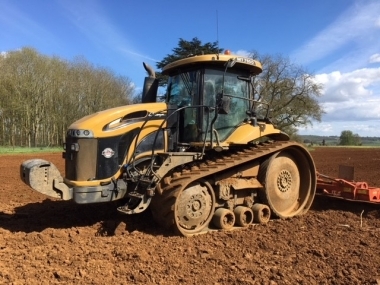 The Challenger MT700 A series tractors were fitted with the CAT ACERT C9 turbo diesel engine, CAT 16/4 full powershift transmission, creep transmission was available as an optional extra (a complete different transmission package giving an additional 14 gears and a minimum forward speed of 0.5kph at full rated engine rpm). 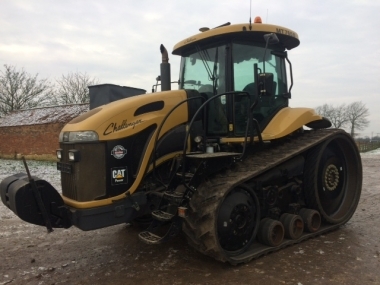 All Challenger MT700 'A' series tractors were fitted as standard with rear PTO, swinging drawbar and electronic controlled three point rear linkage with an integrated track slip control. The in cab control terminal on the Challenger MT755 and MT765 measured fuel usage, area worked (from standard forward speed radar), and tractor performance and service scheduling. Standard equipment included 4 electronic spools with electronic power beyond ability (to suit trailed implements with remote electronic valves). Typical weighting of the tractors complemented it natural static weight distribution of 60% front to 40% rear, resulting in an even distribution front to rear under full load with a trailed implement. Mounted implements typically benefiting from 8 x 57kg front track frame idler weights - but can be fitted with up to 24 x 57 (or 12 per track). buy every original MT700 series (Challenger 700 'A' series) part online.